Hey guyz. There are plenty spoiler from a solid source from the largest WOW forum in China that a Asia Localization Employee leaked little info and playing a Puzzle Guessing game daily update. I've translated and moved it here! 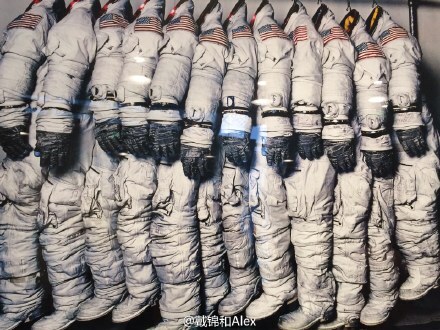 ex-headquarter of Blizzard Asia posted a "12 Spacesuit" image pointing out of this Leak. The key of patch 6.0 has two, one is G, another is D.
ilvl compression for X5 is due to the Big Event and Canon in X5. We may have one D, but G perhaps not one, maybe 5? One of those Gs, MUST be Garad. One of those Gs, MAY be "Garona". One of the last known those Gs, MIGHT be "Garithos". The Red Names becomes Yellow, Green Names drop gears. The end of time is what its starts, Medivh shows to give you Dailies. DW returns, but which one? A classic Maincity becomes Raid Dungeon. Your known history, may not be "the original" one. Due to s/he is not exist in "the original" history. S/he killed him/her in that time, to do the right thing. When the theory is in mess, Anduin Wrynn regrets his choice, while Wrathion faces his glory. A Maincity-class Dungeon finally becomes a true Maincity. The Dragon Soul's power is not vanished yet. Instead, they cannot touch that power, the power someone have long coveted. Eternal Dragons? The Dragon Era has already ended. Our story is about mortals that extraordinary and/or unwilling to be ordinary. Illidan: None of my business! Old Gods: None of my business! Burning Legion: Why it's not as it says, my dear screenwriter? Subject of this X is: Father and Son. Even there's no blood relationship, the fetters are more strongly than there have. Even there have blood relationship, the incompatible destined a bad romance. They, the young. What's their choice when they get a overwhelming power one day? Among those fetters and bad romances, the world is shattering into pieces by "the young" suddenly get power. Hail To The King, Baby!!! The forth G, is Gul'dan. Someone: W Saurfang is in trouble? Oh, come on my little brother! The useless number is just a Fibonacci Sequence. Everything has started. Let's wait and see. ↑ I don't know the upper five row means it's just shown in original post. The puzzle on that forum is still updating. I will update more when I get more. Burning Legion: Why it's not as it was, my dear screenwriter? Interesting.. is this from the same place that pretty much spelled out the ending cinematic action to action? Garithos died in WC3, are we gonna play with time travels? I'd rather go for Gnomeregan, finally. Last edited by Spray; 2013-10-14 at 09:56 AM. Possibly Undead leave Lordaeron and make home there? Or am I completely kidding myself. It does seem I am kidding myself. Gnomeregan seems the most likely choice. And the main city which will be raided is probably Undercity. Sylvanas goes batshit crazy, the alliance wants to reclaim Undercity. This all looks like absolute nonsense, to me. What exactly? Enlighten us, please. WC3 was just a set back??? As long as the "one post" opener does not post a link to his source, I wouldn't believe him a single word. This is the same chinese site that leaked the MoP ending cinematic transcript before the world first kill, don't be so quick to judge. Stupid of me. My bad. Didn't pick that one up either. Kudos. I'm still all for it. Sounds reasonable imho. So why doesn't he just post a link to that thread? Shouldn't be too hard imho. Last edited by MapleEve; 2013-10-14 at 05:51 PM.